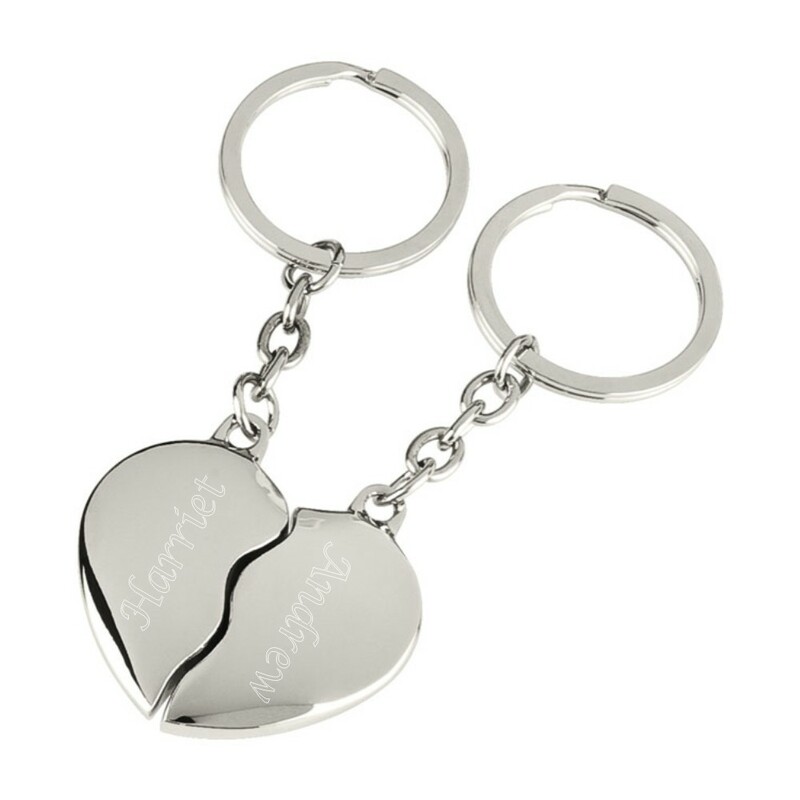 Personalised Engraved Highly Polished Chrome Two halves of a Heart Silver Keyring. We can fit one word on each of the keyrings or you can have initials and a date. All your engraving goes on the front of the keyring. This unique gift measures 125 x 80 x 25 mm. Length includes the keychain.